In October 2017 we saw for the first time that an EV model sold more than 10,000 units in a single month. You would be surprised to know that it is not a Nissan Leaf, Chevrolet Bolt or a Tesla. The honor goes to the BAIC EC180 city car made in China. Not only did the BAIC EC180 achieve sales of 11,315 units in October it did so in one country. 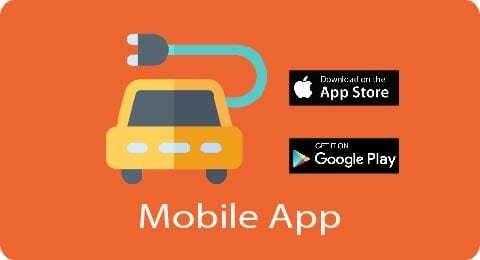 The only other EV model that came close to 10,000 units in a month was the Tesla Model S when combining its international sales data for September 2017. Interestingly enough the BAIC EC180 also sold close to 10,000 units in September 2017. 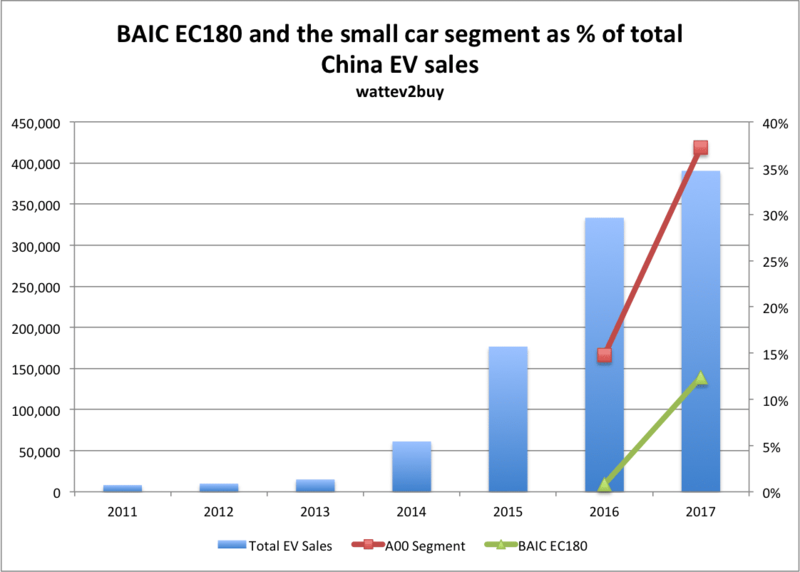 The BAIC EC180 falls under the small car segment (A00) in China which have become the most popular segment in the last 12 months. 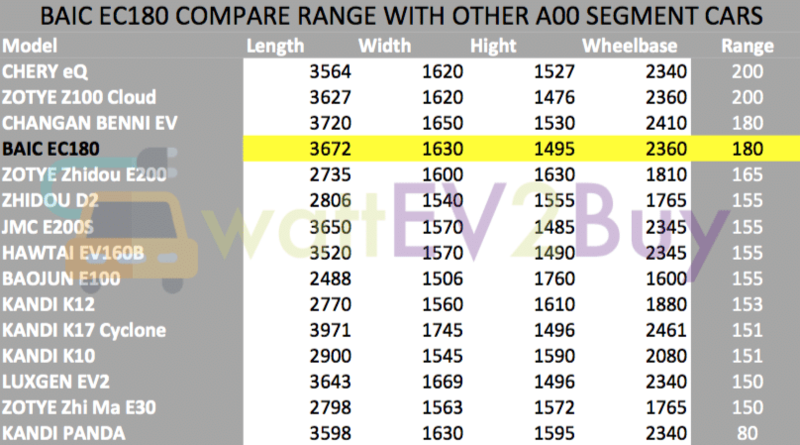 Already more than ten brands provide at least one model for the A00 segment with many others planning to produce small city cars. 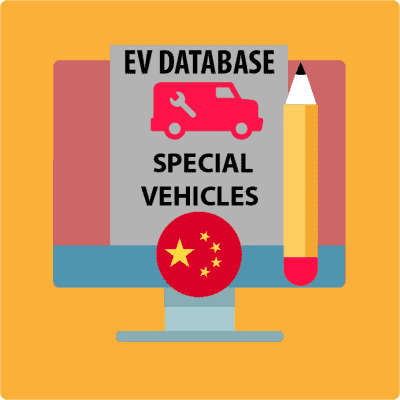 The small car segment contributed only around 15% of all EV sales in China in 2016 now contributes around 50% of all EV sold. 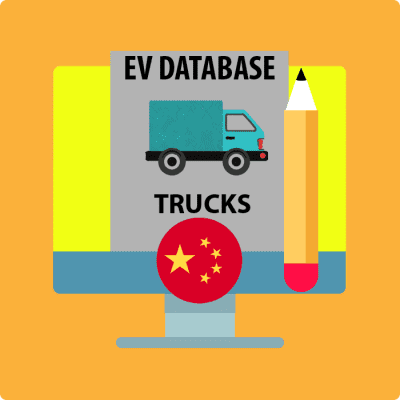 The BAIC EC180 made up close to 40% of all the A00 segment sales or about 17% of all EV sales in China in October 2017. 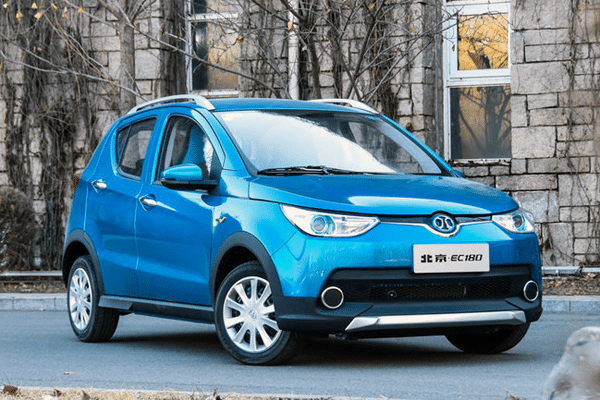 What makes the BAIC EC180 so special? When comparing the BAIC EC180 with other electric city cars available in China, it’s not the cheapest. 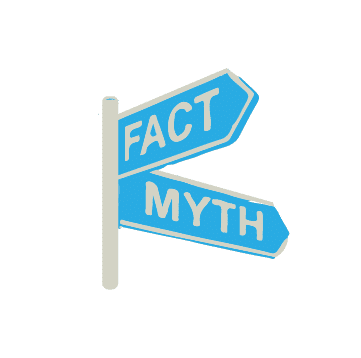 In fact, the manufacturer’s guide price is more expensive than a Smart Electric Drive which has a better safety rating. However, the final sales price for the BAIC EC180 can get as low as $7,500 (¥49,800) depending on state, city and manufacturers subsidies. One of the attributes that are in the BAIC EC180’s favor is its range. The BAIC EC180 squeezes a range of 180km (112 miles) out of its 20kWh battery where most of its similarly priced peers can only muster a range of 150km (94 miles). Some of the higher priced competitors such as the Kandi K17 and Zotye E200 can only reach 165 km (103 miles) at most. The only real competitor on range is the Chery eQ, which sold more than the EC180 in June 2017. The second most popular car in China is the Zhidou D2, previously the Geely Zhidou D2. Although smaller the Zhidou D2 is priced the same as the EC180. 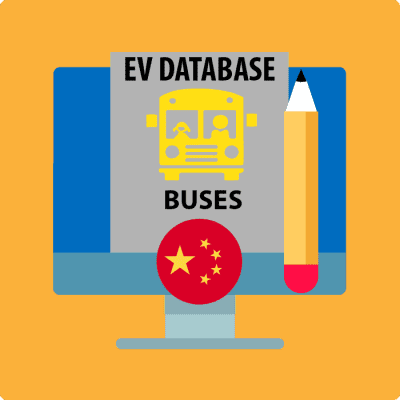 The Zhidou D2 is one of the first city EVs in China and has received its third facelift recently, with improvements to its interior and internet capabilities. The Zidou D2 which has experienced some spontaneous combustion incidents in recent times have not received any improvements to its safety and powertrain. 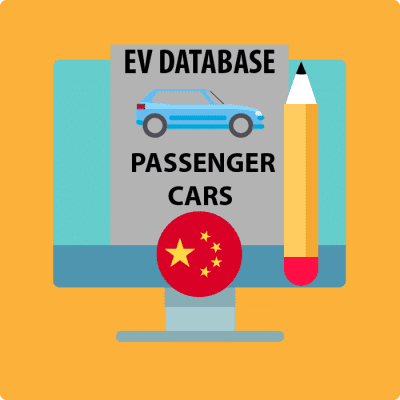 The competition between the two city cars is confirmed by search statistics on wattEV2buy showing that the most popular searches for Chinese EVs internationally is for the BAIC EC180 followed by the Zhidou D2. The BAIC EC180 electric motor, battery and battery control system is identical to those used by BAIC in the EV \ EX \ EU \ EH \ ET series. When creating the BAIC EC180 city car, the company with over 136,000 EVs sold to date did not sacrifice on quality and design. 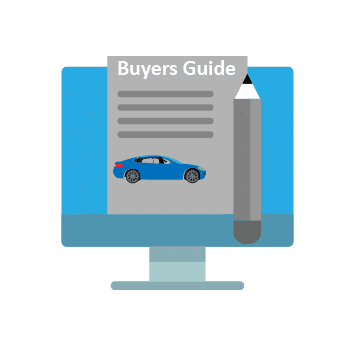 The attention to quality is one of the main contributors to the little car’s popularity, giving it excellent brand recognition resulting in record sales. The only cost-saving on the BAIC EC180 is the omission of a fast charging system, but charging overnight will provide you with more than enough range required for city driving. Judging from the international interest one wish that BAIC would start exporting the BAIC EC180, it will be a great boon for EV adoption on a global scale.